A very enjoyable morning was had by all who attended a morning tea and tea cosy chat at Mont de Lancey in Wandin. Thanks to all who attended. A further $356 has now been added to the fundraising total. Currently that stands at $11,068 on the old website, plus $846 on the new website. Great work everyone!! We've been invited to sell the tea cosies at the market at Mont de Lancey, 71 Wellington Rd, Wandin North, on Saturday 14th November, and again on Saturday 12th December. Tea Cosy and Soft Toy competition winners. 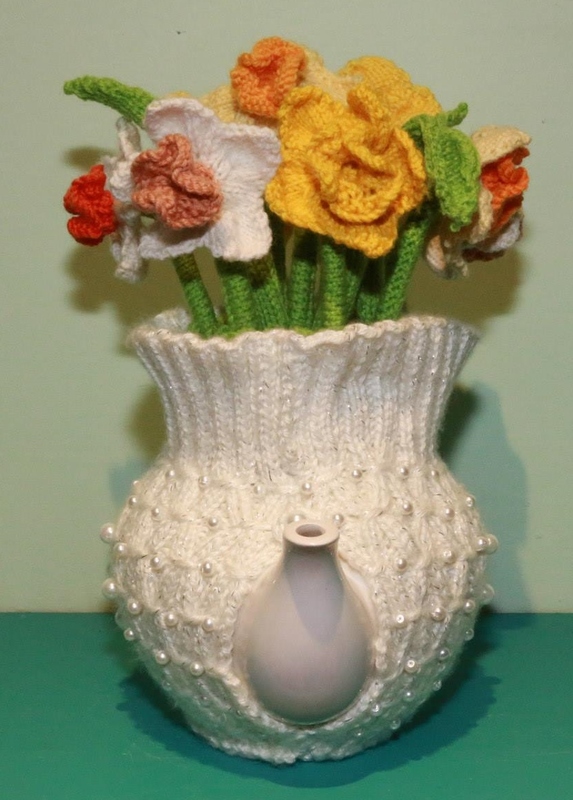 The Tea Cosy Competition winner for 2015 is Anne Saunders of Scoresby with her wonderful vase of daffodils tea cosy. Second prize goes to Kaye Whitney of Mooroopna, with an imaginative tea cosy that features a board game! For something totally different, third prize goes to Max of Blackburn, with his ingeniously crafted timber tea cosy. 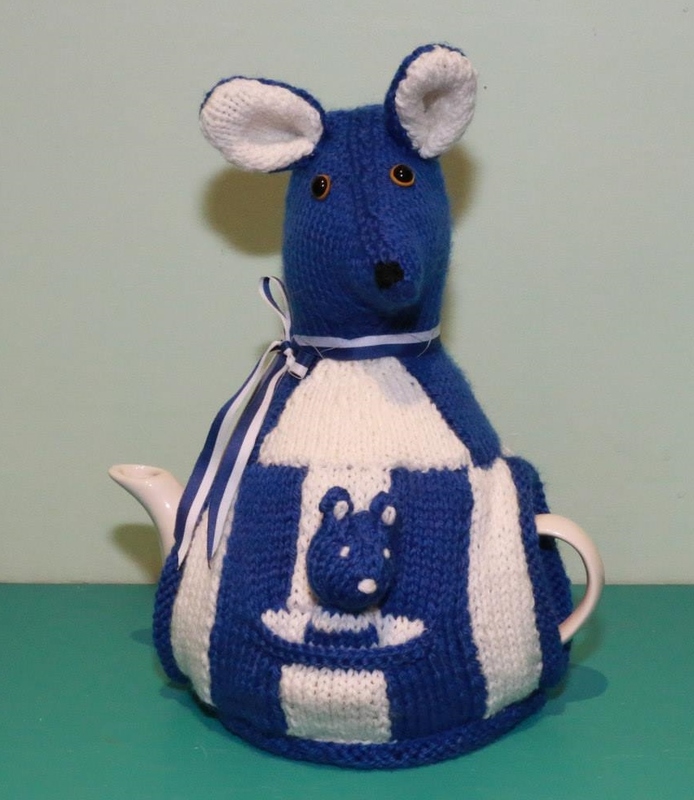 The winner of the AFL prize is Janet Gilbert of Sale with her beautifully made blue and white kangaroo. 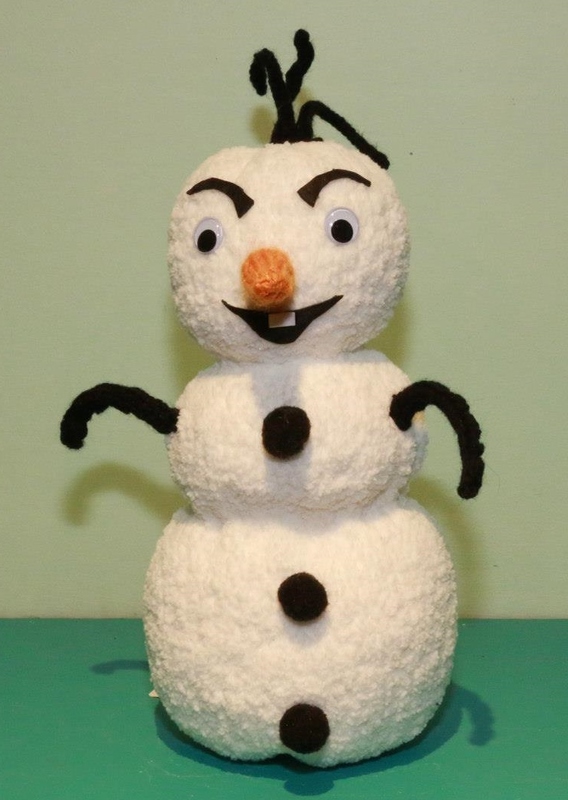 The soft toy competition was won by Kathy Basile of Chirnside Park, with her gorgeous snowman, Olaf. 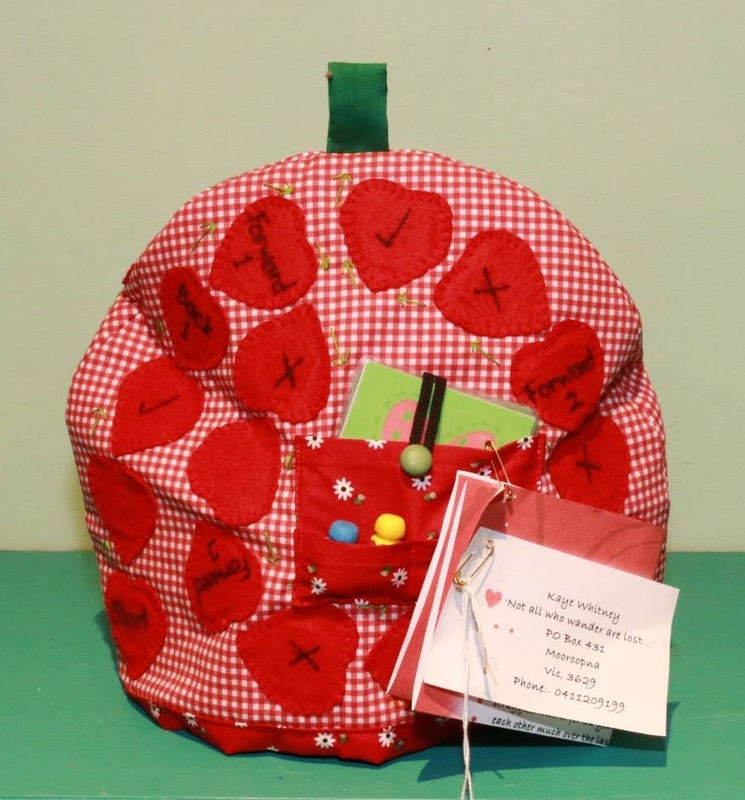 And last but not least, the children's prize has been won by 8 year old Ava Scott from Heathmont with her little mouse tea cosy. Well done Ava!! We’re getting near the exciting bit of the Tea Cosy and Soft Toy Competition. Judging will be on Sunday afternoon; then next week, we take all the entries to the Lavender Farm, and set up the display. This year, five ladies have loaned us their beautiful handmade quilts to decorate the walls of the shed at Warratina....thank you ladies...I don’t know all of your names yet! I noticed last year that people loved the quilts as much as the tea cosies...so enjoy the bonus quilt airing as well. There are more entries this year than last year; I don’t know exactly how many yet; tomorrow we’ll pick up the last of them from the Maroondah Handicrafts, the East Ringwood Post Office, and from the Lavender Farm. Thank you to all those people who have donated teapots. Tea cosies look so cute when sitting on a pot...where they’re meant to be!! The display will be open from 10 am –4 pm every day, from Saturday 4th July – Sunday 19th July. All money raised by the entry donation, and from the sale of the tea cosies and soft toys, is donated to the Cancer Council. Go to http://vic.cancercouncilfundraising.org.au/craftacure anytime to check out our progressive total. So far, we’ve raised $5150. I hope to see all of you at the display again this year. Just a note about the tea rooms at Warratina; it gets a bit busy in there when the tea cosy display is on, so it’s a good idea to make a booking if you intend to go and spend a bit of time munching lavender scones, or whatever other delicacy takes your fancy. The tea rooms will be open every day, from 9-4; so you can go in and have breakfast, lunch, or morning or afternoon tea to sustain yourselves before or after checking out the tea cosy display, which is held in the lavender drying shed. The phone number for the tea rooms is 59644650. Just like we did last year; the tea cosies that you purchase will have ‘sold’ written on their price tags; but will remain in the display till 19th. You can arrange to have them posted to you, at a cost of $7.45 for up to 500 grams. Also, we’ll be arranging pick up points. We’re fairly flexible and will try to work out something mutually convenient. If you have any queries about the Tea Cosy and Soft Toy competition and display, contact me (Lorraine) by email, or phone 0400102554. I hope you’re all busy knitting or sewing or felting or whatever; the tea cosy competition deadline is drawing near. To be eligible for one of the prizes on offer this year, we need your entry by 26th June. Just a reminder that the tea cosies and soft toys that you send in, are a donation towards the fund raising effort, they will be exhibited and sold to raise money for the Cancer Council. At present, we’re up to $5150. You can check the progress on http://vic.cancercouncilfundraising.org.au/craftacure. The display and sales at the Lavender Farm runs from 4th July to 19th July. If you are available to help out during that time, please contact me on 0400102554. 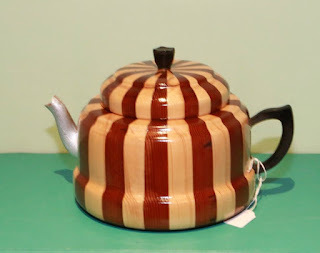 I’m always looking for more tea pots, the more tea pots we have, the more tea cosies can be displayed to their full potential!!! Second hand tea pots from the op shop are perfect. Poppies....two ladies are making some poppies for some poppy themed tea cosies...if you have any knitted or crocheted poppies that didn’t quite make it to the Anzac Day memorial, I would be very pleased if you would like to donate them to the tea cosy competition. Maroondah Handicrafts in Bedford Rd East Ringwood, will collect donations; just let them know it’s for the tea cosy competition; they have a box out the back of the shop to put them in. They have different ladies there each day, and some may not be aware unless you let them know. If you’re not near East Ringwood, then the postal address is PO Box 109, East Ringwood, Vic, 3135. Christmas in July....we have a number of gorgeous Christmas themed tea cosies...if you’re looking for a theme for your tea cosy; something Christmassy would be good. Animals.....animal tea cosies are very popular. AFL footy.....soft toys and cosies with an AFL theme are eligible for a special prize, see below. Children’s work...there’s a special prize for entries by school aged children...if your kids have made something, please tag it with their age...it’s lovely to see craft work by the young ones. Daleks....will we get more this year? A reminder that there’s a prize of 4 tickets to an AFL home-and-away game of your choice for the best AFL themed tea cosy or small soft toy. There’s a prize of a $25 Bendigo Bank voucher for the best entry from a school aged child. The crocodile stitch tea cosy pattern is finally here! 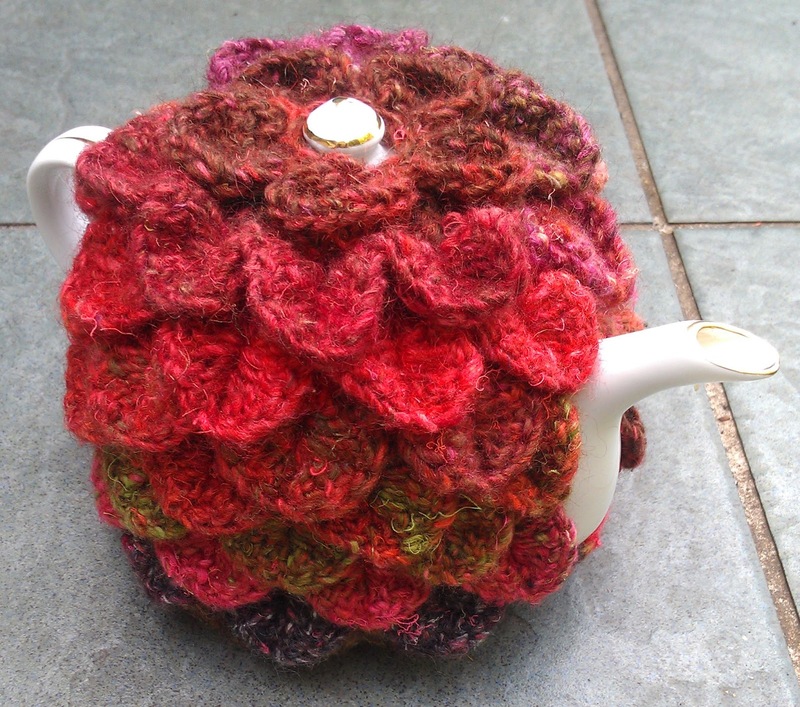 Just click on the "Crochet tea cosies" tab above to access the pattern. The patterns are free for you to use. Please keep in mind, however, that the reason I'm offering my work for free, is to raise money for cancer research. Use my patterns, enjoy, and also make one for the fundraiser, which is to be held in July 2015. 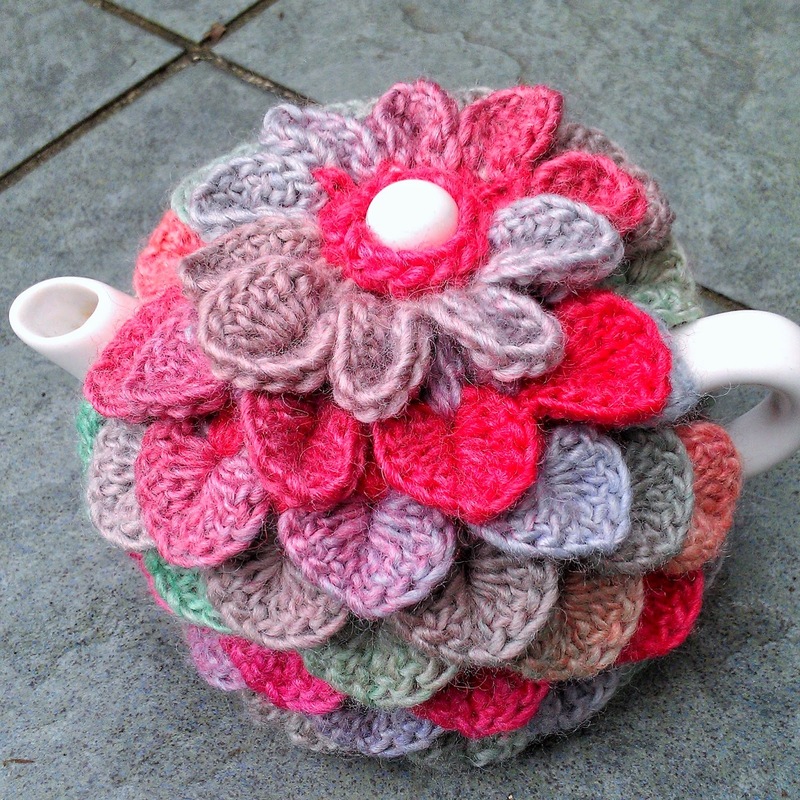 Go to the "Information" tab above to find details of where to send your tea cosies. 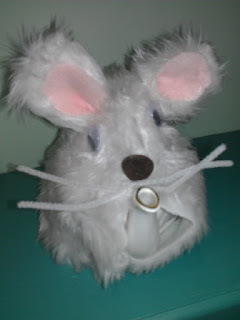 Don't forget, this is a competition, with a $250 cash prize for the best tea cosy. Welcome to the April newsletter for the 2015 Tea Cosy Soft Toy Competition. 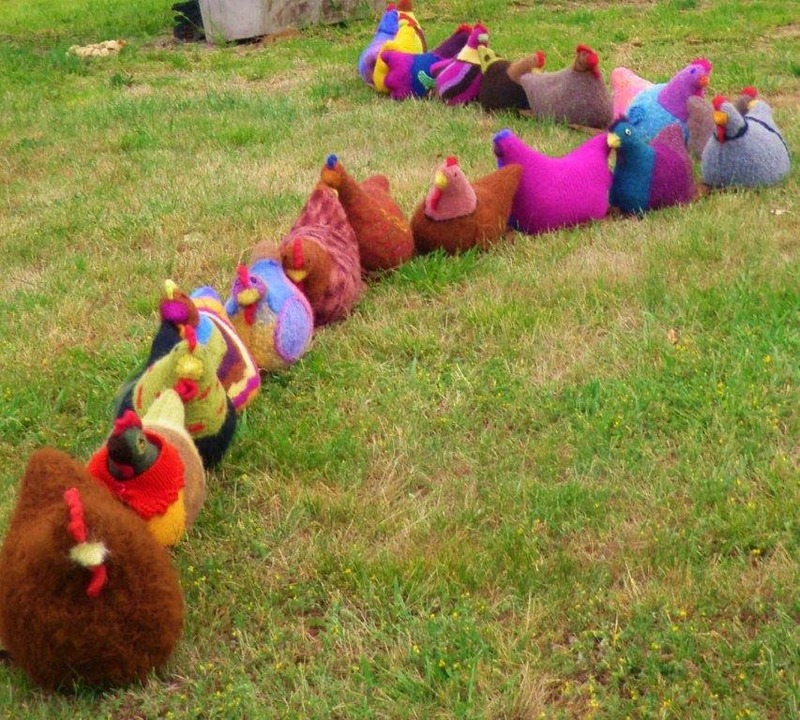 Since the last update, I’ve received the first entries for the soft toy section from the Chicks with Sticks knitting group, and for the tea cosy section, from Gill in Berwick, Vic. Thanks everyone; they’re gorgeous. Someone has already tried to buy one!! But they’re not for sale yet; they’ll be on display first at the Warratina Lavender Farm in July. The closing date for entries, both tea cosies and soft toys, is 26th June. Spotlight has once again given us two $50 gift cards, which we’ll use as ‘runner-up’ prizes. Bendigo Bank at East Ringwood is offering a $25 bank account as a prize for the best entry by a school student. Announcing the AFL footy prize!!!! Submit a tea cosy or soft toy in the colours of an AFL team, for your chance to win 4 tickets to a 2015 AFL home-and-away game of your choice. (NOT a finals game). Please add a note to let me know that you are competing for the AFL tickets. Officeworks in Ringwood has printed flyers as a community service, which I’ve been distributing to people who are happy to help promote the competition. 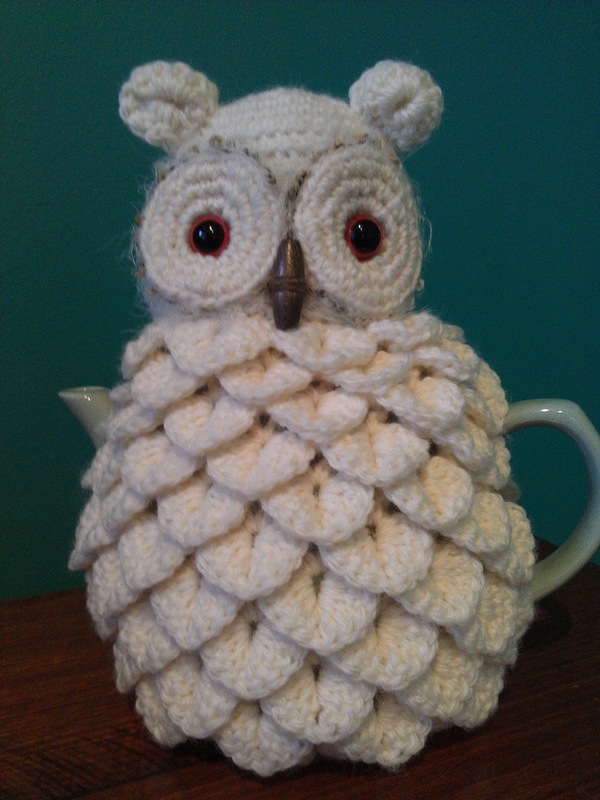 Maroondah Handicrafts has once again agreed to be a drop-off point for tea cosies; so if you live somewhere nearby (shop 3/95 Bedford Rd, East Ringwood), you can save on postage by leaving your tea cosies and soft toys there. Warratina Lavender Farm is the venue for the display in July, and entries can also be left with Annemarie at the tea rooms at Warratina. Café Orchard, in Hopetoun Rd Park Orchards, continues to display and sell tea cosies from last year, with all proceeds being donated to http://vic.cancercouncilfundraising.org.au/craftacure. Our current fundraising total is $4900. Many thanks to these businesses for their support for the fundraiser. I’m still on the lookout for second hand teapots to display the cosies in July. The best ones are the plain, uninteresting teapots. Please contact me by phone or email if you can donate an old teapot or two. Phone is 0400102554; email is lorraine@virtual.net.au. As I live in Heathmont, don’t worry about collecting teapots unless you live somewhere close by! Attention quilters!!!!! Once again this year, the drying shed at the Lavender Farm will be decorated with beautiful handmade quilts. If you have some quilts that you would be happy to display for the 16 days of the tea cosy exhibition at Wandin, please contact me on 0400102554, or by email. I’ve attached some flyers that you can print, and distribute to anyone that may be interested in the Tea Cosy Competition. Announcing some exciting new prizes for our competition. The Bendigo Bank at East Ringwood have donated a $25 bank account for the best entry by a school aged child. Come on kids, make a tea cosy or soft toy to help raise money for the Cancer Council. Once again, Spotlight stores have donated two $50 vouchers. These will be offered as second prizes in each of the two sections; tea cosies and small soft toys. First prize in each of the two section is $250 cash. www.grailcraft.com.au, or you can contact her via email; barbara@grailcraft.com.au. ﻿﻿Knit, sew, crochet, felt, glue, embroider or quilt; use your craft skills to help raise money for the Cancer Council. $250 First Prize in each of the two categories. or drop them in to Maroondah Handicrafts, shop 3/95 Bedford Road, East Ringwood. Ask the ladies there to put them in the box at the back of the shop marked 'Tea Cosies'. Don’t forget to attach your name and phone number to your entry. In 2014, we raised over $4000; let’s see if we can top that figure this year! 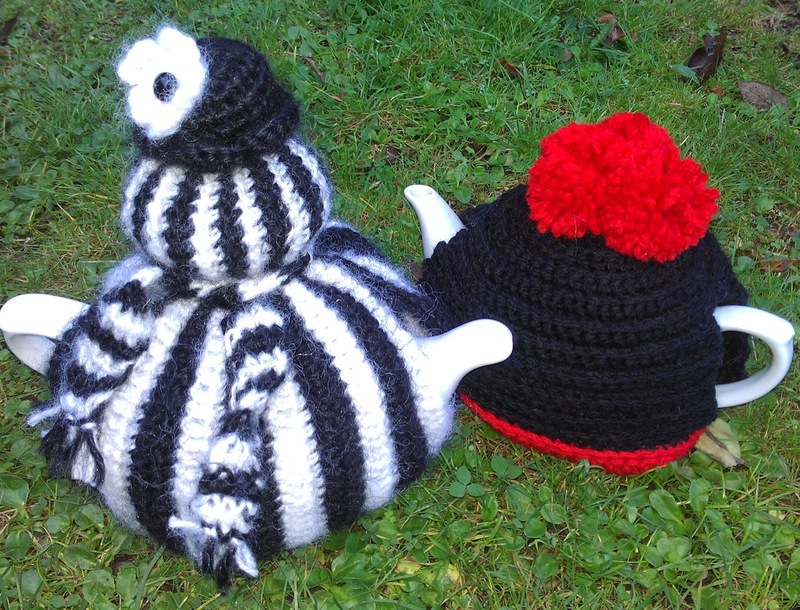 Tea cosies have been sold throughout the year at Café Orchard, Hopetoun Rd Park Orchards. Check them out! All proceeds from the tea cosy sales are donated to the fundraiser. Thanks to Cheryl and Soren at Café Orchard. 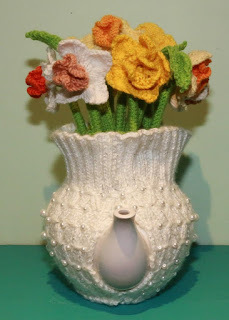 Go to www.teacosycompetition.blogspot.com.au for some free patterns and ideas; and also http://facebook.com/teacosycompetition. The handcrafted items will be on display and for sale, at Warratina Lavender Farm, 105 Quayle Road, Wandin Yallock, 3139. www.warratinalavender.com.au , from 4th to 19th July, 2015. Closing date for entries is 26th June, 2015. Check the blog or the Facebook page for more details to be announced. Please note that the entries become the property of the Tea Cosy Competition, to be used for fundraising for the Cancer Council.